Shop Our Brand New Site! ATOPALM.com got a facelift! Check out our brand new site for an easier browsing and more enjoyable shopping experience. Shop today and use code LUCKYYOU to save 15% off your entire order in honor of St. Patrick’s Day and our brand new look! Not sure where to begin? Here’s a look at our three popular moisturizers to inspire your cart! Intensive Moisturizing Cream is our flagship moisturizer — the product that started it all. 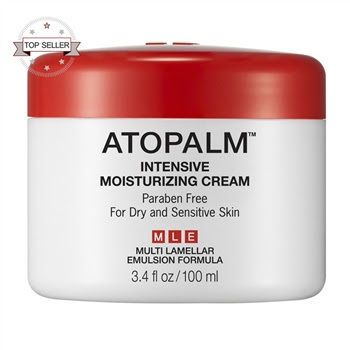 With a rich dose of MLE and an ultra gentle formulation, it’s the perfect introduction to the ATOPALM brand. It’s also our most-recommended product for use on children (it was, after all, formulated by our founder for his own sons) and is as effective on the body as it is on the face. Real Barrier Extreme Cream provides moisture and protection with MLE while also targeting visible signs of aging with Idealift, a firmness-booster. Extreme Cream is an excellent “all-in-one” cream with incredible moisture benefits, skin-soothers, and anti-aging actions. 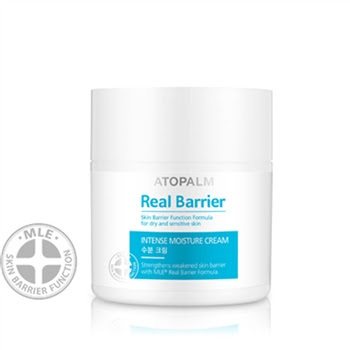 Real Barrier Intense Moisture Cream also features MLE, as well as a rich dose of hyaluronic acid, which allows it to boast an amazing 48-hour hydrating skin barrier. It makes a great daily face cream for dry skin types, as well as the perfect night cream for anyone looking to boost their natural radiance.